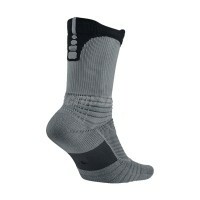 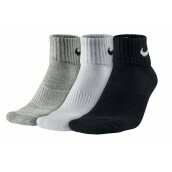 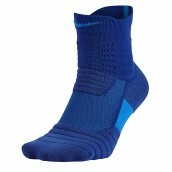 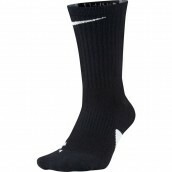 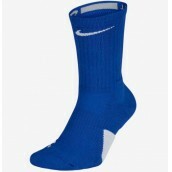 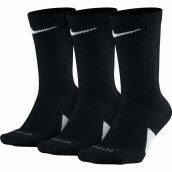 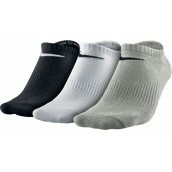 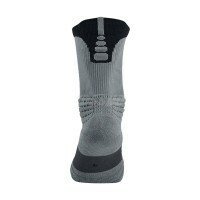 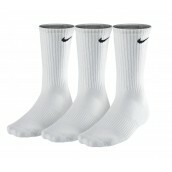 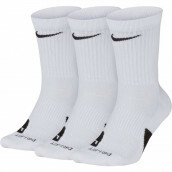 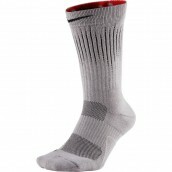 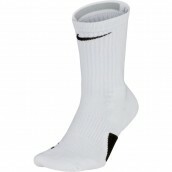 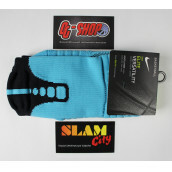 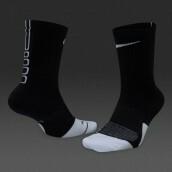 Take your game to the next level in the performance-ready Men's Nike Elite Versatility Basketball Crew Socks. 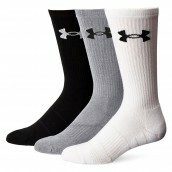 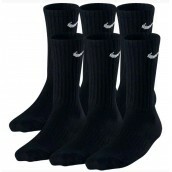 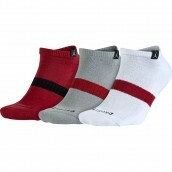 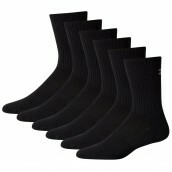 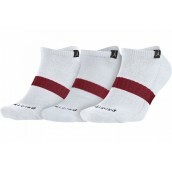 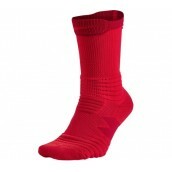 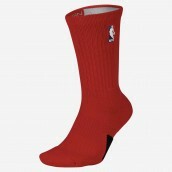 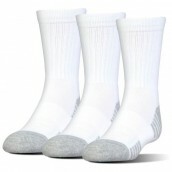 Boasting ventilation zones and Dri-FIT fabric, these socks help you keep your cool so you can focus on the game. 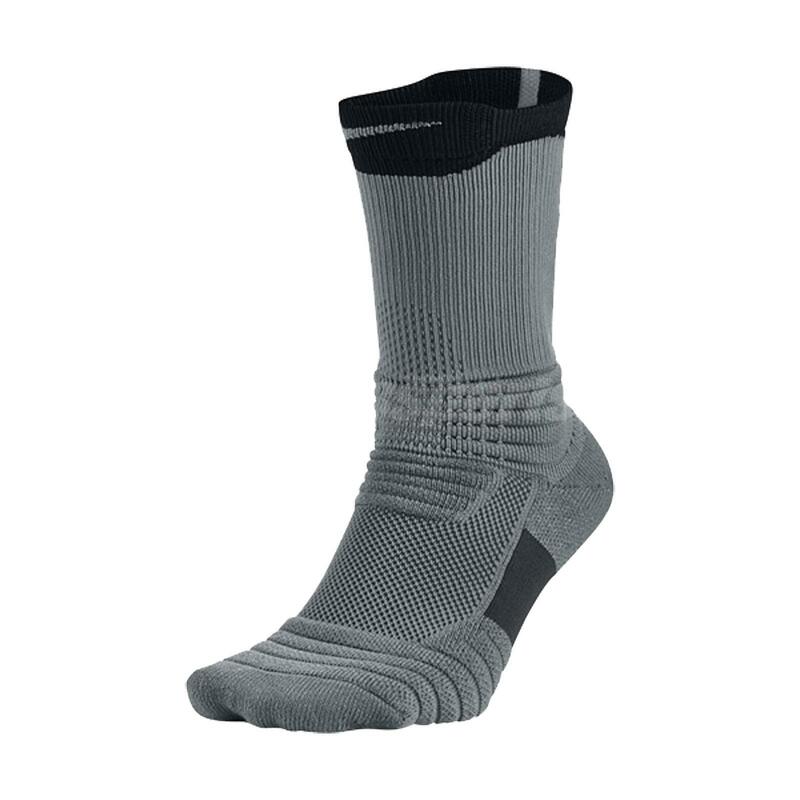 Designed to minimize impact, the cushioned footbed ensures you stay protected from tip-off through the final buzzer, while the dynamic arch gives you a close fit. Anatomical construction and Y-shaped stitching at the heel ensure the most natural fit possible for stellar on-court performance.